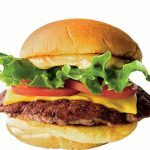 Okay, here’s Shake Shack’s sacred cow! With this recipe, now you can make their classic cheeseburger at home in five minutes. For the iconic Shake Shack, it all started with a hot dog and this is the most iconic of all their menu items. 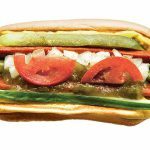 Over the years they’ve refined the toppings of the classic Chicago-inspired hot dog, and made their our own. Here’s how to make it at home. 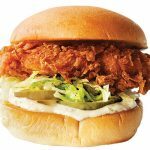 Shake Shack’s core question was: What makes a great chicken sandwich? The chicken! Where to find enough good, all-natural meat? And how to portion it? The Shacks steep the chicken in a tenderizing sous vide bath; at home, it’s a buttermilk marinade. 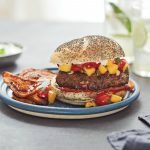 This hamburger is packed with robust spices—garlic, ginger, coriander, cinnamon, cloves, and red chilli—which come together seamlessly to create an incredibly savory burger experience. 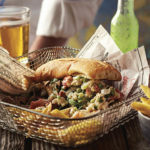 This lobster roll is a way to celebrate this beloved crustacean in a way that doesn’t adulterate it too much, infusing its flesh with the flavor of the ocean.